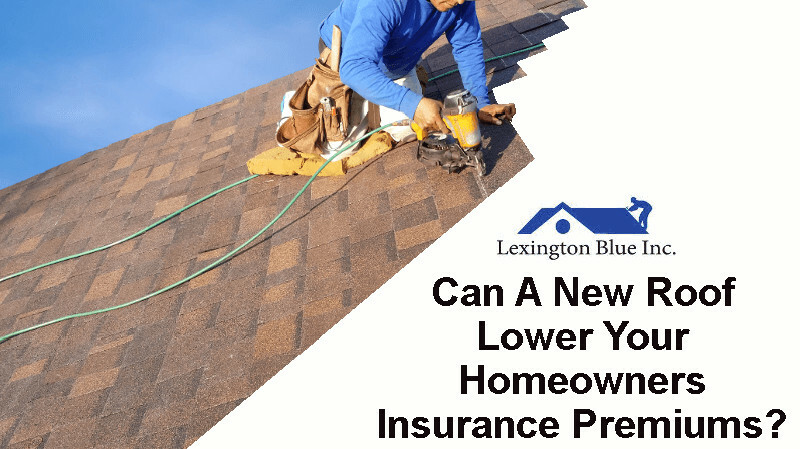 Can A New Roof Lower Your Homeowners Insurance Rates in Lexington? Home » Blog » Home Improvement Tips » Can A New Roof Lower Your Homeowners Insurance Rates In Lexington, KY? When it comes to budgeting in our daily lives, sometimes opportunities are easily overlooked simply because we don’t know about them. Ask yourself…How many different ways have you looked at lowering your living expenses? Can one home improvement investment offset any of these? In this post we’ll be discussing how a new roof can lower your homeowners insurance rates in Lexington, KY. Note: We are providing you resources to reflect home improvements that can lower insurance premiums. We can not offer any legal advice pertaining to your individual policy. We encourage you to request this specific information from a licensed insurance agent in Lexington, KY. This is not to be mistaken with our insurance claim restoration services, that in most cases, are all filed under an “Act of God” claim, which also does not raise your rates due to filing a claim. A valid argument could be made for measuring the expense of a roof installation against the savings you’ll have with your insurance bills. On the other hand, if you’ll eventually need a new roof, why not take advantage of ways to lower your insurance premium in the process? Since we specialize in roof installations and not insurance rates, we sought the advice of a local expert, John Coody. John is an independent agent representing Cambridge Insurance, a local insurance agency in Lexington, KY.
You Can Contact John Coody Directly! We had the chance to ask John some questions regarding home improvements that we feel are helpful resources in your considerations for lowering these costs. Q: How can having a new roof installed qualify for lower premiums? Insurance companies look at the age of your roof from a pricing and underwriting stand point. Most carriers will give you a lower rate for a newer roof because it can withstand wind and hail damage better than older roofs. Q: If a client of ours recently had their roof replaced due to a storm damage claim, can they still qualify for these available discounts? As with any new roof that’s been installed, each carrier offers their available discounts due to the age and other related insured property you may choose to include in your policy coverage. Q: Do other improvements such as new replacement windows, siding, gutters and doors also qualify? There are no discounts for new windows, siding or doors. However, from an underwriting standpoint, your eligibility with carriers is determined by the condition of the home. Some of the less expensive companies are going to have stricter underwriting. This means that company A, whose underwriting is lenient, might charge $1000 for the home without concern for the condition. It also means that company B might offer coverage for $500, but will not offer coverage if the home is in poor condition. Q: Can the quality of the shingle’s wind and hail resistance provide any additional type of savings? Most carriers look at the roof’s age rather than the type of shingles used. Using high quality shingles vs. low quality shingles will reduce your chance of having serious claims and from an underwriting perspective, carriers do look at this. When it comes to saving money on your homeowners insurance, not all policies are created equally. There are several ways to insure property in Kentucky and while some items are included, others are not, or may be covered through endorsements. There have been several myths that have popped up over the years concerning homeowner’s insurance. Tip: Real Estate and tax appraisals do not take into account for debris removal or reconstruction costs. Some companies actually charge more for market value policies than replacement cost because they do not want to deal with the legal headache at claims time. Tip: Shop in advance. Many carriers have announced that they will give discounts to clients who request quotes well in advance. In other words, if you call three weeks before your homeowner renewal, you may receive better pricing than the person who calls the day before renewal. Tip: Don’t shop too much. Like with everything else in life, there has to be a balance. When carriers see that you switch insurance on an annual basis, they will not give you their best pricing. Loyalty discounts usually take at least 3 to 5 years to earn. Just like with your credit, banks can see how often you request credit, insurance companies can see how often you switch and this can also affect your rates. Tip: Independent insurance agents are able to provide options through several different carriers while captive insurance agents are only allowed by company contracts to offer one company. Pick two captives and one independent when shopping, but don’t just look at the price. Look at the coverage and the attitude of the quoting agent. If they just push paper in front of you and say take it or leave it, then that is an example of the service you will receive. We are happy to supply our current and future clients with quality resources like this one. We’re always looking for ways that help our clients make the most out of our services. Lexington Blue would like to personally thank John Coody for his valued input. Contact us if you like the idea of saving on your homeowners premiums and want to better protect your home with a new roof in Lexington, KY.